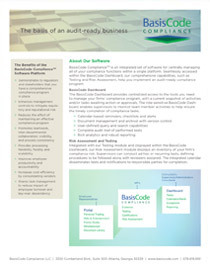 The BasisCode Compliance suite of compliance software solutions are used by some of the world’s leading financial services, consulting, legal, accounting, fund administrator and broker-dealer organizations. We offer regulatory compliance software that work for firms of every size and every need. Core software for organizations with basic compliance needs; enterprise software for firms requiring more comprehensive solutions. 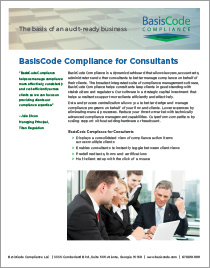 Every BasisCode compliance software solution is scalable and flexible to meet your organization’s requirements. The core of a robust compliance and reporting program. Essentials covers testing and certifications, risk assessment, gifts and entertainment, whistleblower, document portal and employee portal. Click here to learn more. A comprehensive compliance management software solution dedicated to larger firms with a global or more complex footprint. Enterprise covers testing and certifications, risk assessment, gifts and entertainment, whistleblower, personal trading, forms studio, documents portal, extensive reporting and an employee portal. Click here to learn more. 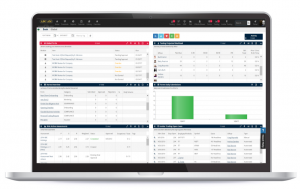 Streamlines management of personal trading surveillance including pre-clearance and post clearance, trade request analysis and employee-managed or direct feed brokerage options. Available as standalone or as part of an integrated suite. Click here to learn more. 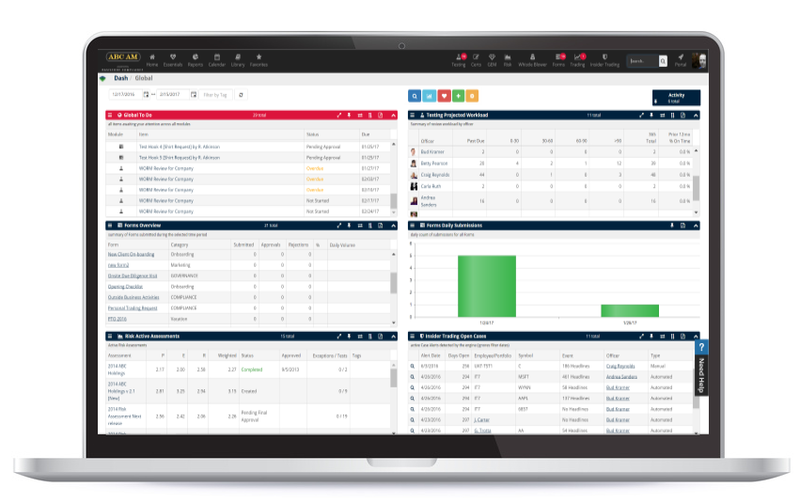 Developed exclusively to allow compliance consultants to enhance compliance management controls, improve staff performance and productivity, and increase operational efficiency and scalability. Click here to learn more. Replace hardcopy documents using a flexible tool that enables employees to submit forms online. Click here to learn more. A revolutionary, proactive approach to monitoring Insider Trading. Enables users to detect suspicious or abnormal trading that may have resulted from the misuse of material non-public information. 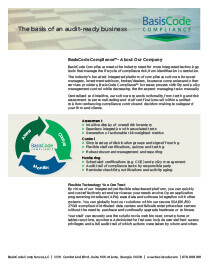 Available as a standalone software solution or as part of an integrated suite. Click here to learn more.